All new Reed Homes homes have been enhanced with money-saving, energy-efficient features and are High Performance Energy Efficient Homes®. Every High Performance Energy Efficient Homes® home is designed to far exceed local energy codes. Our High Performance Energy Efficient Homes program is a comprehensive approach to responsible development with high-performing homes and cost-savings for you. A High Performance Energy Efficient Homes® by Reed Homes is Smart. Very Smart. When you add it all up, you get a home that month after month is looking out for your family’s well-being, and your pocketbook. Better insulation, EnergyStar® appliances, programmable thermostats, water-stingy faucets, toilets and shower heads, and optional tankless water heaters mean significantly lower energy and water bills, all year long. Cool in the summer. Warm in the winter. Be comfortable year round without having to worry about big HVAC bills. Better insulation systems, our radiant roof barrier and double-pane Low-e Argon filled windows make all the difference. Engineered wood is less prone to warping and stronger than conventional lumber. Many of the latest plumbing, electrical, HVAC, insulating and stucco systems are designed for longer, happier lives than those in homes just a few years old. From the way we develop land and construct houses to the way our homes operate and the materials they contain, natural and non-renewable resources are conserved all along the way. It adds up to big savings for the earth, and for you. According to the Nation Association of Home Builders (NAHB) ‘Green Homes’ incorporate environmental considerations and resource efficiency into every step of the building and development process to minimize environmental impact. The design, construction, and operation of a home must focus on energy and water efficiency, resource efficient building design and materials, indoor environmental quality, and must take the home’s overall impact on the environment into account. However, many of the processes and technologies that go into a green home happen behind the scenes and behind the walls. Fixtures and appliances such as low-flow showerheads, faucets, and toilets, and ENERGY STAR dishwashers and washing machines all conserve water. Programmed, low-volume irrigation systems, rainwater collection systems, and wastewater treatment systems. These decisions-from home size, to orientation on the lot, to floor plan layout-are made in the design of your home and development of the lot. The house orientation and design should take advantage of natural daylight to reduce lighting needs, and should use strategies to reduce heat gain in the summer and heat loss in the winter. 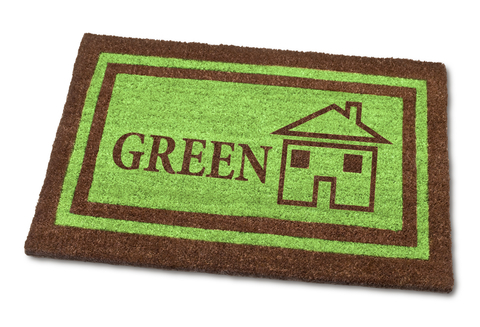 The home should contain renewable materials, including rapidly-renewable wood species such as bamboo, and recycled-content materials in carpets, tiles, and concrete formulations. The heating, air conditioning and ventilation system (HVAC) must be appropriately sized for an efficient and properly ventilated home. Fans in the kitchen and bathrooms should cycle fresh air inside, and release stale air. Programmable thermostats should be used as well. Reduced Utility Bills: Reed Homes homes are built to reduce heating & cooling consumption via Low E windows, enhanced insulation, extra insulation in the attic, high efficient heating & cooling equipment, tight ductwork, high efficient water heating, irrigation rain sensor, radiant barrier, ENERGY STAR® appliances, advanced framing techniques, and efficient floor plan designs. Compared with standard homes, energy efficient new homes use substantially less energy for heating, cooling, and hot water heating. Homeowners can expect to save about $200-$400 annually on their utility bills. Healthier Indoor Air: Reed Homes uses proper sealants, filters, advanced combustion safety, air cycling, fresh air distribution, and ventilation to help reduce potential health risks by decreasing dust, pollen, moisture, radon, carbon monoxide, combustion gasses, and odors. The energy-efficient features of our homes keep out excessive heat, cold, and noise, and ensure consistent temperatures between and across rooms-making these homes more comfortable to live in. Low Maintenance: Reed Homes constructs their homes tightly and ventilates them correctly to prevent costly moisture damage and energy loss to expand the lifetime of your mechanical equipment and home. Low E windows not only prevent energy loss but also reduce fading on furniture and finishes. Comfort and Quiet: Quality construction, improved insulation, and efficient air flow keep a Reed Homes home cool in the summer, warm in the winter, diminish noise, and ensure consistent temperatures between rooms throughout your home. 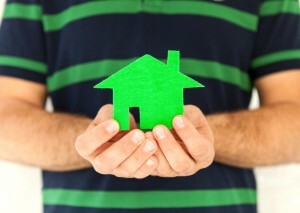 Helping Create A Better Future: By purchasing a new energy efficient home, you are joining millions of consumers who have helped our nation reduce our energy needs and building a cleaner environment for the future. Effective Insulation – Properly installed insulation that meets or exceeds national code requirements helps achieve even temperatures throughout the house while using less energy. The result is lower utility costs and a quieter, more comfortable home. High-Performance Windows – Advanced window coatings help keep heat in during winter and out during summer. They also block damaging ultraviolet sunlight that can discolor carpets and furniture. Tight Construction and Tight Ducts – Attention to detail by sealing all holes, cracks, and seams in ducts and construction assemblies helps eliminate drafts, moisture, dust, pests, and pollen. This improves comfort and the quality of indoor air, while lowering maintenance costs. Energy-Efficient Heating and Cooling Equipment – More efficient and properly sized heating and cooling systems use less energy, which reduces utility bills. These systems also turn on and off less frequently, removing more humidity and providing better comfort. Our commitment goes beyond the homes we build; Reed Homes creates a healthier, higher quality of living for every homeowner.